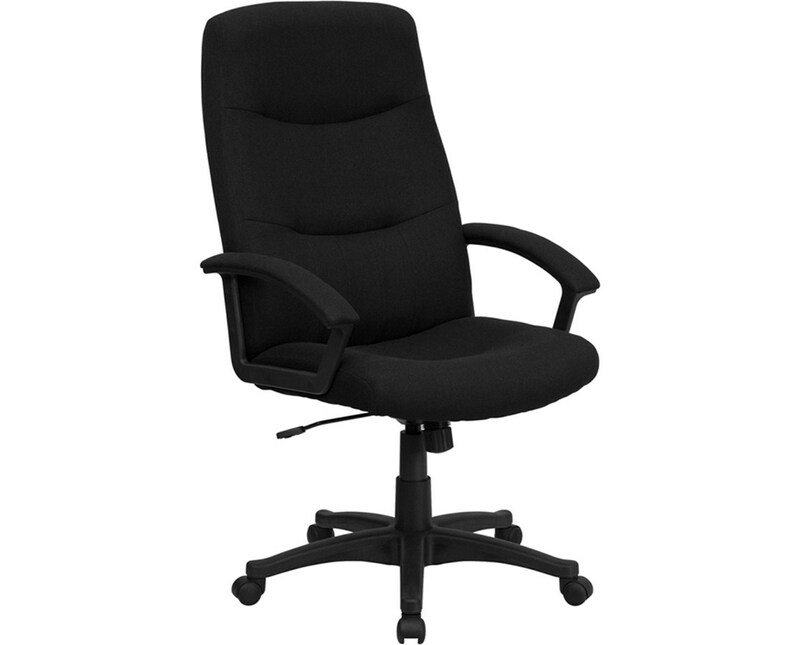 The Flash Furniture High Back Executive Swivel Office Chair BT-134A-BK-GG comes with durable fabric upholstery in a choice of 3 colors: black, gray, and royal blue. 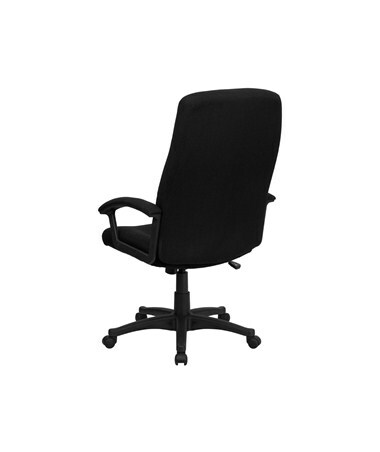 This desk chair has a number of adjustable features so that your can customize your chair to fit you. The seat and back have adjustable tilt-angles, with tension control and tilt lock. Seat height is adjustable from 18” to 21¾” with the pneumatic control lever. 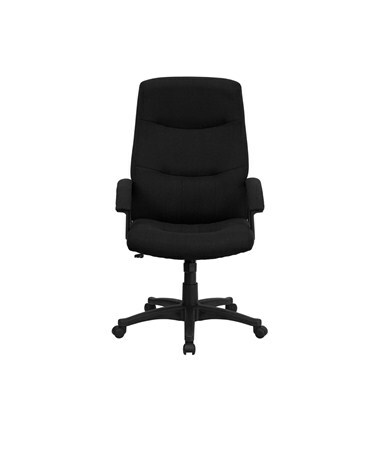 This high back chair has a contoured padded seat and back . 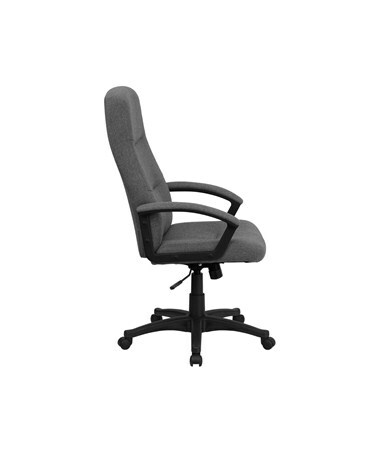 The backrest measures 22¼”W x 28¼”H, so it can support your whole torso. 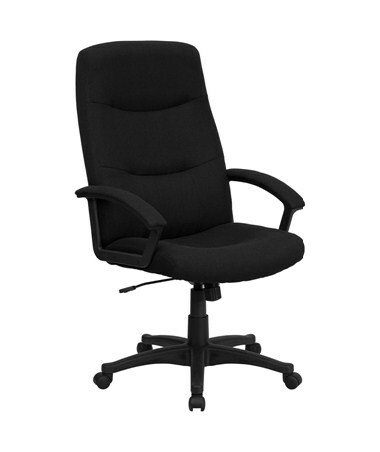 The swivel seat is 22”L x 19”W. Fixed padded polyurethane armrests support your arms. The black nylon 5-star base has 5 swiveling wheels. Weight capacity is 250 pounds. Some assembly is required.